2.We are famous for the elaborate handcraft. All the beading works on our bridal gowns are stitched by hands. 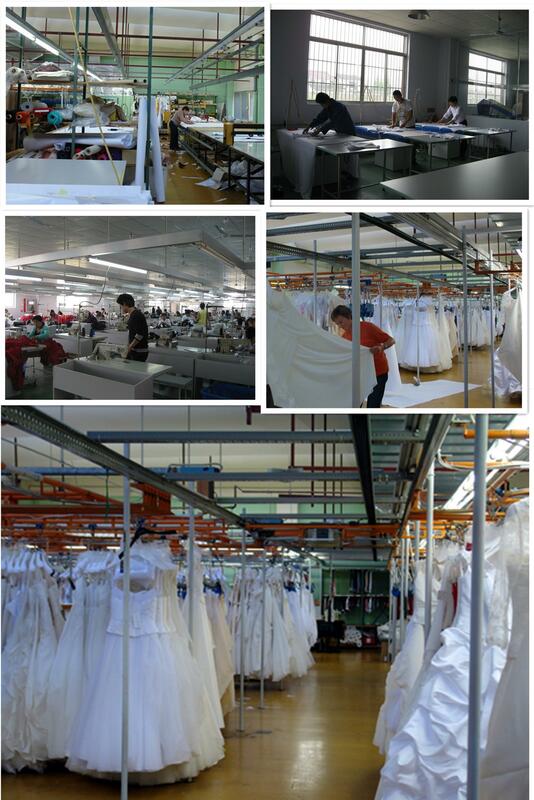 We use at least 4 layers of fabrics to make bodice of bridal gowns. We use 10 bones in most of bridal gowns, which greatly affect the structure and shaping of the bodice part of our bridal gowns. 3.With 10 years experience of OEM, we have served for many famous brands. 4.Our product capacity is 3000pcs per month, so you can leave your bulk order to us and we’ll try our best to meet your needs. 5.We adds horse hair interlining all around hemline of bridal gowns. 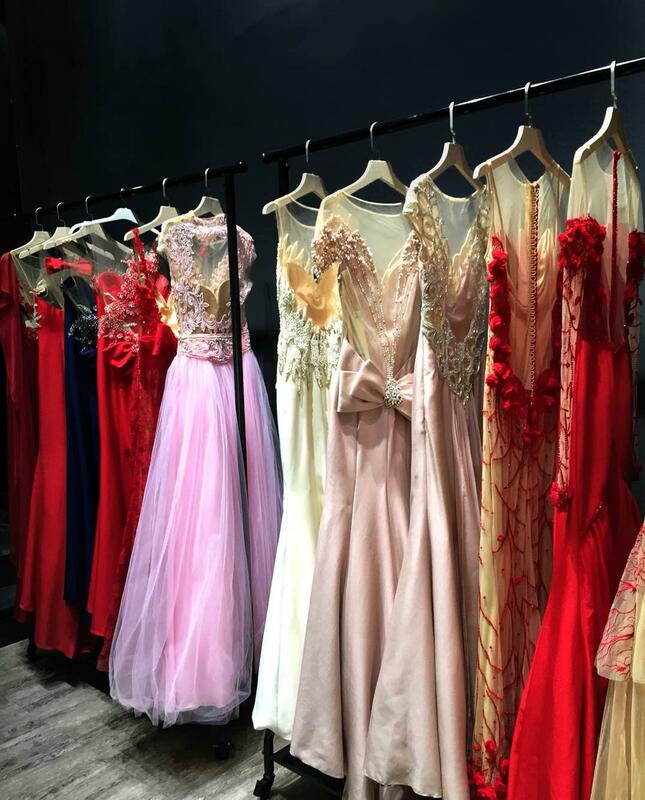 6.we provide good after service, if you received your dress with any questions, please contact me at any time, we will try our best to your satisfaction. In 2010, We are selected one of the suppliers to take part in the Exhibition in Paris, France. Our wedding dress was selected to exhibit in the Frankfurt’s airport for one month. 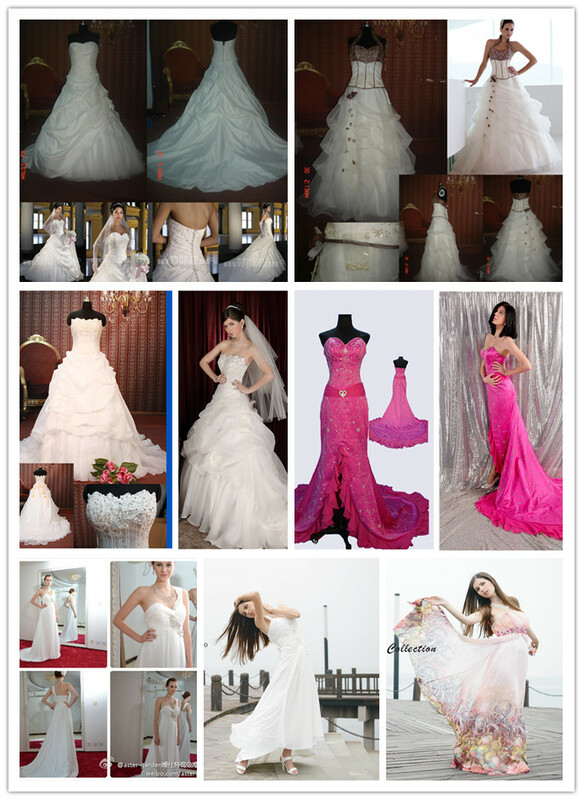 And a lot of people are amazed about high quality and low price wedding dress.